Death metal band from IL. Released one demo and a couple of EPS. Xeroxed color covers, regular tapes. 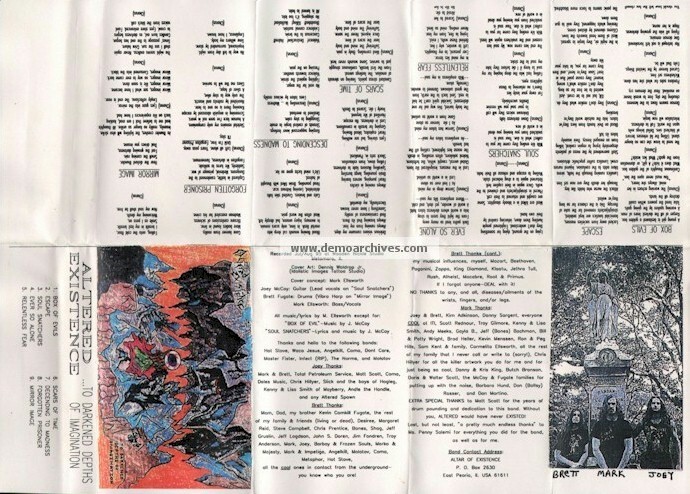 Cover folds out to A4 size and has lyrics.